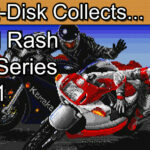 Insert Disk collects Out Run for the Sega Mega Drive / Sega Genesis. Today’s retro game review is Out Run for the Sega Mega Drive / Sega Genesis. This retro gaming classic is was a number one hit in the arcade across the world. 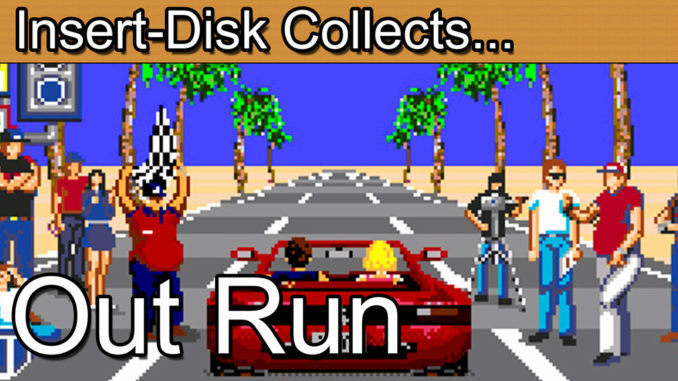 Sega’s Out Run remains one of the most iconic racing games to this day. Finding a best in class home release on the 16-bit Sega Mega Drive and Sega Genesis Out Run became the go to racing game of it’s time. It’s one of those games that really stands up to the Sega Ages (Segages) slogan. Join me in part 1 of 3 of this Out Run Mini Series. Greetings collectors and welcome to today’s retro game review. It’s time to get back to basics with much loved franchise from Sega. Over the next three episodes I’ll be taking a look back at the 16-bit editions Sega’s Outrun series. Specifically I’ll be covering what most regard as the 16-bit Outrun trilogy. 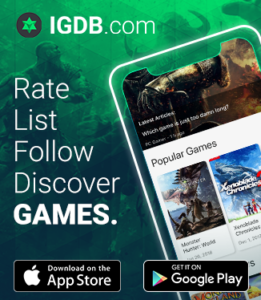 Consisting of Outrun, Turbo Outrun and Outrun 2019. 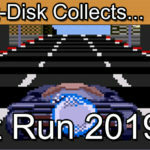 Now aficionados will quickly point out that there is a 4th 16-bit Outrun title called Outrunners. Rather than making a 4th episode I’ve decided to simply bundle it in to the 3rd episode of this series. Also I’m excluding the later editions of Outrun not out of spite but I feel that these deserve their own episodes at a later date. So, back to the beginning and a look at the original Outrun by Sega. Released back in 1986 arcade by the legendary Yu Suzuki Outrun became a phenomenon. The game was released in several formats including a full sit down cabinet with a full complement of wheel and pedals. If you were a child of the 80’s the sight of this cabinet will literally bring back the ringing sounds or the arcade and the smell of coin action. Quite simply Outrun and Sega had become synonymous with the arcade. 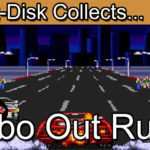 Outrun was one of an arsenal of games that Sega used to boost the demand for the Sega Mega Drive and Genesis and it worked like a charm. Outrun, Super Hang-On, Space Harrier, After Burner, Golden Axe, Altered Beast… My goodness me, what a time to be alive if you were a fan of video games of the Sega variety. This was a real golden age of Sega. Before the 16-bit Sega vs. Nintendo wars kicked off in earnest history clearly records the dominance of Sega’s arcade legacy. I grew up mostly with Commodore and Sega as my go to machines but I obviously have healthy respect for Nintendo and what they brought to the party. During the early 90’s though it would be very difficult to separate me from the games library of the Sega arcade conversions though. So when Outrun landed on the Mega Drive in 1991 there was obviously some excitement with gamers after much built up anticipation. The result was glorious. We were treated to a very decent conversion of the game, its bright, bold, beautiful and fast. For all the world Sega fans the world over celebrated this arcade smash. So, does it still hold up today? In my opinion, absolutely. Much like Super Hang-On the graphics are very much of their era. They are simple in places but the consistency and stylisation of the game make this one feel as fresh as ever. For new players you’ll certainly understand why my generation enjoyed this game. For those revisiting you may just have to wipe a tear from the corner of your eye as the nostalgia kicks in. After you’ve selected your radio station (Mystical Sound Shower, obviously) it’s off to the coast line start. Before you know it you’re tearing through the tarmac and speeding your way in to arcade paradise. Its very satisfying and everything comes together really well as a great example of a truly great game. Just because we now refer to Outrun as retro game it really doesn’t mean we have to make any concessions. It very much stands proud on its own two feet and holds its own even today. The controls are easy to get to grips with. In terms of buttons it’s an accelerate / brake affair and a left/ right on the d-pad. The added element of gameplay comes from the gear. You’ll need to shift between low and high gear to get the most out of the course. On those straights max out that high gear but make sure you take the bends with care. There are several schools of thought in the gaming community. Some will try to stay in high gear for the duration whilst tapping the break for control. Others like myself favour dropping to a low gear in the corners, the equivalent of compression breaking in a real car. Which ever method you use you’ll certainly need to spend some time mastering the course, or should I say courses? At the end of each stage you can branch off either left or right potentially creating a multitude of ways to complete the game. Again, this element of selection also divided speed runners of the game on the easier vs. the fastest routes. Which ever route you choose you will be treated to an array of landscapes as you overtake your rivals in order to hit the next checkpoint. So even if you complete the game you can go back and try again to see the rest of the countryside. Of course this wouldn’t be a Sega release without some decent packaging. Get ready for it… There it is just as you remember it. That red Ferrari Testarossa Spider with the Outrun number plate, a most vibrant game cover if ever I saw one. This of course lines up with the manual and cartridge, as was the style at the time. I’ve kept mine in minty fresh condition and holding it is like a portal to a time when Sega could do no wrong. Here in the UK expect to pay around £40-£50 for a mint boxed copy of Outrun. For a game that was mass produced it has really held its own in terms of collectability. The North American version typically sells for around the $30 for a decent complete edition. So for a first outing of Outrun this was a very strong offering. Sega’s key strategy of getting that arcade to home conversion right really resonated with gamers. Naturally we wanted more. The public demanded bigger, better, faster. My goodness did Sega listen we would only have to wait until the following year for Sega to up the ante with the next instalment of the series, Turbo Outrun. Tune in to the next episode to find out what happened next and could the anticipation for a sequel ever live up to the hype. Spoiler alert, yes its awesome.